A brilliant article and publication has been issued by the United Reform Church about the myths around poverty in this country. The information really makes you stop and think about the misinformation and lies told in the media and by politicians. I have just finished two articles on these themes, so this really struck a chord with me. What is also worrying is that people, who are usually rational and fair thinking, accept all this nonsense as fact. 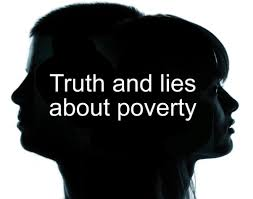 I urge you to read this article and download the report entitled “The Lies we tell ourselves – ending comfortable myths about poverty”. It is an amazing piece of work jointly commissioned by The United Reform Church, the Methodist Church, The Church of Scotland and Baptist Union of Great Britain. It dispels a lot of myths and misconceptions about poverty in this country and is a very powerful indictment on modern society.